A rare opportunity to own one of the most historic estates in the heart of the city on over an acre of land . ''Yallaha'', as the property was known, is the oldest surviving building in the SW peninsula of St Augustine. The entire building has a coquina wall foundation. Its two stories high now, L-shaped with two main sections, one wood frame and the other coquina. The wood frame section was built about 1845, although the coquina section is earlier, probably circa 1820.A second story was added about 1890, but the entire property has been remodeled several times to suit a variety of uses. It boasts one of two known square coquina wells in St Augustine, the other being at Markland. Its history is remarkable, from large orange grove at inception, to passing as an estate through several families, to welfare office. Today it stands as a multifamily residence, with one home downstairs and two apartments upstairs. The condition of the property has deteriorated and it is need of someone to restore it. The grounds are unique, its history lengthy and with over an acre in the heart of the city, this property is rare. 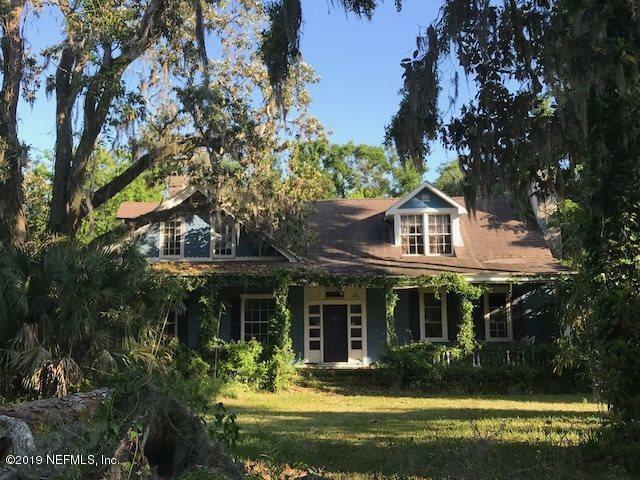 Due to its size, the property may also be considered for development with the inclusion of the historic residence, but it would also serve well as a grand estate for anyone who cherishes the history of St Augustine.